Shop around for the property priced just right for you. REDUCED! Free standing (stand alone) private river property with own river frontage at this bargain price! Now you can make your dream of owning a river property all by yourself come true. No rules and regulations, except your own. All this space just for yourself. Enjoy a river lifestyle the way you always wanted to! This is a fixer-upper. REDUCED! 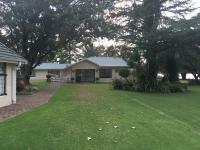 Stately home, very secure Vaal River living. Aircons, underfloor heating, pajama lounge, private garden. A wonderful lifestyle awaits you on the Vaal River: This is a 48 HA security estate with a massive 16 HA of private open space on the banks of the Vaal River. 57km’s of navigable Vaal River. 500m of riverfront, boat launching facilities, jetties boatlockers. Pet friendly. Golf mashy course, sports field,tennis courts, swimming pool, braai areas,jogging paths,landscaped gardens,picnic spots,abundant birdlife, adjacent to wildlife park, wetland area, 4 manmade dams. REDUCED!!! River views and a lake with your own private island! Secluded and very private. Wonderful entertainment area overlooking the water and surrounded by trees. Listen to 188 bird species from the wrap around verandas. Private guest room right on water’s edge. Irrigated garden with water feature and fireplaces inside for winter ambiance. A cosy, private retreat in the bush by the river. REDUCED! 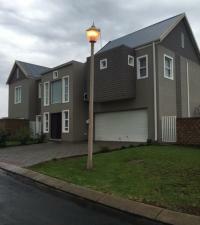 Prime features of this modern Vaal River home are: security, privacy and river views! Situated right in front on the river, this weekend home has been renovated with the best of everything by a renowned interior designer, right down to the outside showers! You’ll find: Double volume living spaces, all bedrooms en-suite, aircons, TV points, gas geysers, battery electricity backup, and best of all … TWO boathouses! 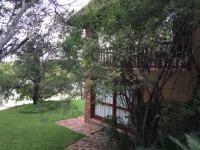 Sheer luxury by the Vaal, 60 minutes from your house in Jo’burg. This entry is filed under Featured properties, Investment opportunities, Uncategorized.